Bark fibres can be applied around trees, shrubs, perennials, grasses and hedgerows. These ecological fibres help you to protect your plants and to make your landscape look clean for years. Usage of fibres also gives a natural and attractive look. You can find different sorts of bark fibres with their specifications and implementation methods at the below. FIBREO® Poplar is a mixture of poplar bark and bast fibre. It does not contain any recycled waste and has not been chemically treated. 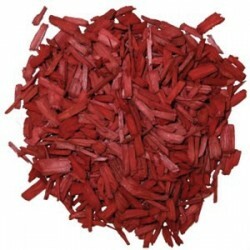 This mulch recommended for use in steep slopes or in areas exposed to wind. FIBREO® Poplar is long-lasting, ecological and economic.